Includes QR code Maps on inside covers. Winner of the Waterstones Children's Book Prize & the British Book Awards Children's Book of the Year'Absolutely loved it from start to finish' TOM FLETCHER'I read it, I loved it' MALORIE BLACKMAN'Kiran Millwood Hargrave creates a spellbinding world of magic, myth and adventure' EMMA CARROLLForbidden to leave her island, Isabella dreams of the faraway lands her cartographer father once mapped. When her friend disappears, she volunteers to guide the search. The world beyond the walls is a monster-filled wasteland - and beneath the dry rivers and smoking mountains, a fire demon is stirring from its sleep. Soon, following her map, her heart and an ancient myth, Isabella discovers the true end of her journey: to save the island itself. 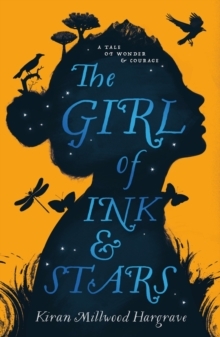 Beautiful, thrilling and magical, Kiran Millwood Hargrave's debut novel has all the makings of a modern classic.